This guide will use the terminology “electronic voting and counting technologies.” As already demonstrated, there are a wide range of technology options covered by electronic voting and counting technologies. Suppliers also implement technologies in different ways, creating a confusing array of alternatives available to EMBs within and between these two broad categories. The variety of offered technologies might be one factor that has led to very different experiences in countries, which have used or attempted to use electronic voting and counting technologies. Voting technologies have a surprisingly long history. In the United States, mechanical lever voting machines were first used for elections in 1892 and were commonly used in U.S. elections until the 1990s. Electronic technologies began to appear in the 1960s with punch card counting machines. In the following decades, technologies such as DRE voting machines, ballot scanning machines and Internet voting began to appear. The U.S. was at the forefront of adopting many of these technologies. Through the 1990s and the first decade of the new millennium, an increasing number of countries around the world also started to adopt these technologies. Recent research has shown that 31 countries around the world have used non-remote electronic voting machines for binding political elections at some point.2 Some of these countries have experimented with EVMs and then decided not to continue with their use, in some cases after using them for many years. EVMs are being used in 20 countries, with six of these countries still piloting the technology. Globally, very different trends are seen in different regions. 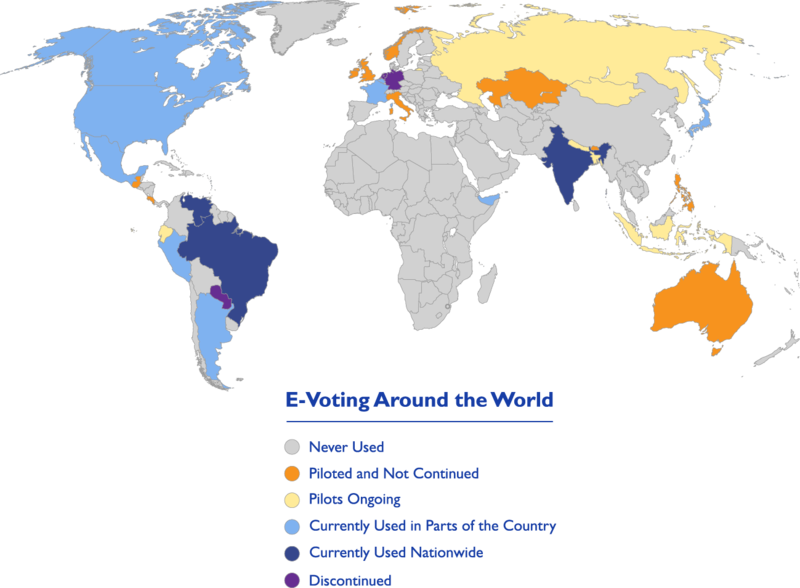 Europe and North America can be seen as moving away from the use of EVMs, while South America and Asia show increasing interest in using electronic voting technologies. Unfortunately, no similar research is available for the global use of electronic counting technologies. 2 Esteve, Jordi Barrat I, Ben Goldsmith and John Turner. 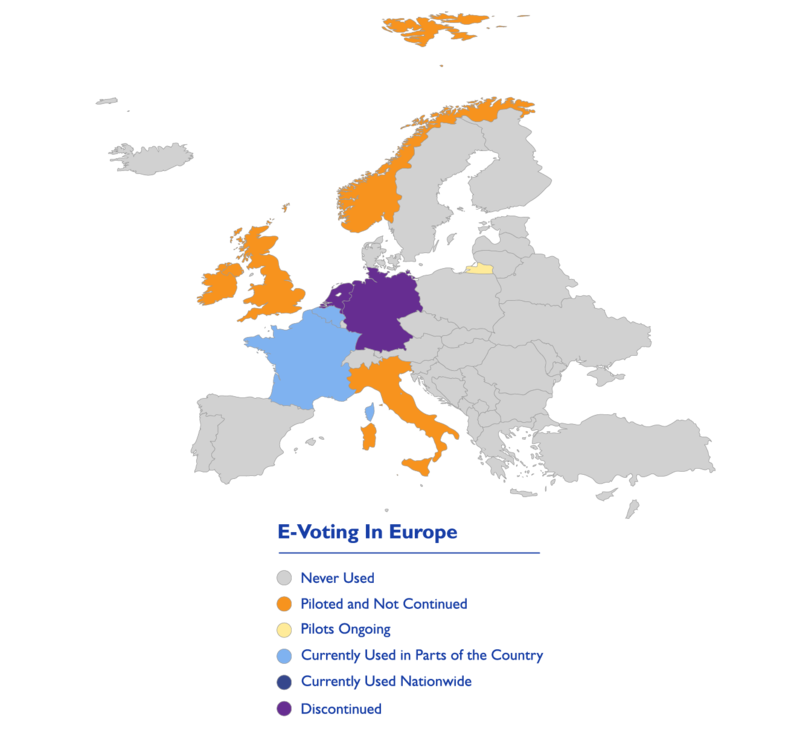 International Experience with E-Voting. Norwegian E-Vote Project. IFES, June 2012.